To my knowledge, this is the original release of Balcones Texas Rum, although there were several variants entered into competitions prior to this release. It was bottled on September 27, 2013 at 58.5% ABV; however, my bottle also bears a gold label declaring this a Commemorative Bottling available at the distillery on December 7, 2013. In any case, I purchased this almost a year later at True Spirits in Plano, TX and it bears the signature of the former Head Distiller, Chip Tate. As you can see from the picture, later batches were bottled at a significantly higher ABV. The nose is fairly hot, but not overly so, with molasses, caramel, straw, tobacco, rotten banana peel and vanilla. After a while, a light dusting of cocoa develops and a distinctly reedy aroma (yes, like cane juice rum). A bit of water tends to bring the straw forward, subduing the fruits and vanilla, while leaving the molasses and tobacco in place. I think it’s a nice improvement in balance, but it was good before as well. The taste is different and much bolder than the aroma with an opening of cocoa, prune, straw and overripe orchard fruit before giving way to a spicy transition of tannic white pepper layered over the previous fading flavors. The finish is leathery and spicy with lingering cocoa-laced molasses and it lasts a long time. Water tames the initial flavors as well as the spiciness so that the transition is less pronounced and the experience is more of a slow morphing of flavors with the same descriptions as before. The finish becomes less leathery with a bit more extension than before and the cocoa-laced molasses becomes nice and spicy. All of this takes nothing away from the excellent mouthfeel, which remains plenty oily. I’m told that subsequent batches have seen more barrel time and have improved significantly, so I may have to explore a more recent batch and I’m genuinely surprised that I’m thinking this way. It looks like Texas does produce some good rum after all, but I’ll warn you that this is not for the typical Bacardi drinker. 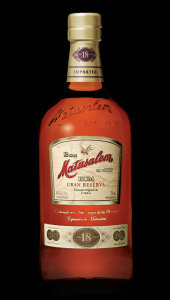 If you like Matusalem Gran Reserva 15 or 18 with a bit more boldness and less sweetness or if you like Westerhall Plantation with more boldness and less reediness, then you should give Balcones Texas Rum a try. I warn you not to judge it on the first pour, but rather to be patient (possibly for months) while the flavors improve to offer you the full experience. Posted in Rum. Tagged Balcones, Cuban Rum. I originally learned about this rum a few years ago from Cap’n Jimbo’s Rum Project, where it was put forward as a reference standard for Cuban style rum. Last year, it was discovered from court documents related to a dispute between members of the Matusalem family that the original recipe included macerated prunes and vanilla. Since then, the current producers apparently started using artificial flavors resulting in the aforementioned dispute. In any case, this is a relatively inexpensive rum with quite a heritage that has gone through some unfortunate changes recently. Let’s give it a go…. Nose is sweet with a rich charred character and laced with overripe banana, vanilla bean, sweet tobacco and a feint reediness. There’s also a bit of black pepper that comes through with more intense inhaling and overripe stone fruits with a softer approach. It’s not very complex, but very enjoyable, especially if you enjoy sweet fruity aromas. The taste is immediately sweet and that sweetness carries through to the finish. Like the nose, there are lots of overripe fruits, but that’s tempered with a mild bitterness like the caramel at the bottom of a good flan. The reedy character is more noticeable here while the banana and vanilla are joined with soft cocoa before fading into the mildly bitter finish. It’s an interplay of spices, overripe fruit and sugar cane that takes you from a sweet entrance through a flavorful cascade ending in a fairly long finish of caramelized banana peel and charred wood. After a while, the black pepper becomes more evident and seems to linger with the reedy quality… like there’s an affinity between the two. It’s never strong or pronounced, but it’s more noticeable. With each sip, the sweetness intensifies as it counters the woody caramel finish and reveals overripe pear, overripe dark cherry, orange marmalade (thanks Cap’n Jimbo) and banana peel. While these other fruits and flavors are noticeable, the initial ones continue to dominate, namely the overripe banana and vanilla. This is a moderately complex rum that is very enjoyable. The sweetness played against the bitterness provides some contrast and keeps things interesting, while the overripe fruit character with mild spice develops over time and then lingers with each sip. We know that this rum is sweetened and I imagine that this is too counter some of the bitterness that is present. Unfortunately, the added sugar probably mutes some of the flavors that would be expected with a complex rum. I don’t mind the added fruit and vanilla, as long as it’s natural (not artificially flavored) and clearly labeled, but the added sugar can’t be helping the quality. For me, this lies between the demeraran and agricole style rums with characteristics consistent with both while never fitting into either category. The 15 year old is almost as good as this 18 year old and the price is only marginally different. I’ll be looking for a new reference for Cuban style rum. 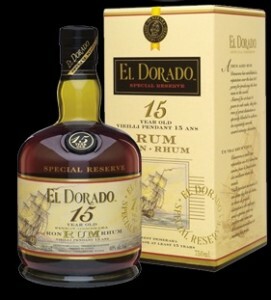 In the meantime, give this one or the 15 year old a try. Both are pretty good. Posted in Rum. Tagged Cuban Rum, Ron Matusalem. Last year I was introduced to the concept of a whisky advent calendar by my friend, Gene, and the folks at Master of Malt. Today, I decided to build my own custom version using samples that I’ve collected over the past year. I’ve come up a bit short, so I’ll supplement a few from my open bottles that haven’t been formally tasted yet. The collection includes, Scotch from most regions, bourbon, rye, rum, brandy, grappa and mezcal. I know that this ventures a bit beyond whiskey, but that just makes the journey more interesting. I’m using a somewhat arbitrary order while saving a few of the premium offerings for last. I’m looking forward to it and I hope you enjoy it, too. Posted in Mezcal, Rum, Whiskey. Tagged Master of Malt. 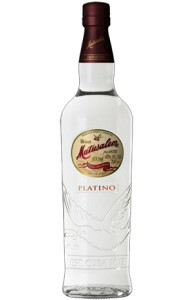 Besides Bacardi (I’m not counting that one), this is the first white rum I purchased. It was a great price and I didn’t know much about it, but I grabbed it anyway. On the nose, its sweet and spicy with smells of toffee, straw, ginger, overripe plum and cherry, pear, honey and mild tobacco. The taste is vanilla, caramel, apple, pear, plum, banana, ginger, grass and black pepper. The finish is mild wood, subdued fruit for a while and dissipating spice. There’s a lingering taste of overripe banana and leathery tobacco in the background as well. 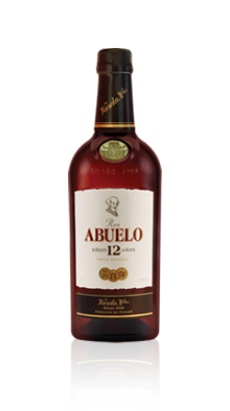 This is a really nice rum with a nice collection of fruit and spice without much sweetness and just a bit of bitterness. Overall, a pretty good balance. The price I paid was really good, but even at the current $15 that I see, this is a good buy. I was really excited about this rum because it hails from Broussard, LA… only a few miles from where I was raised in Lafayette. In fact, I made sure that I secured a bottle from the original release. Sadly, that was last year and I’m only getting around to posting these notes now after spending some one-on-one time with a good pour. Sweet Crude smells like caramel, grass, dark cherry, Bit o’ Honey and a hint of turpentine. The taste is briny, sweet and spicy up front and the finish is leathery, bitter and spicy. At first, I detect brine, lemon, ginger, agave (no joke), white pepper and grass. The palate feels slightly oily with bitterness and spice and the finish is similar… bitter tannins (does this spend any time in wood) and a good bit of spice that slowly fades against a vegetal backdrop. It reminds me more of mezcal than rum… strange (no, I didn’t pour from the wrong bottle). It’s hard to believe that this comes from molasses. The flavor isn’t reedy like cane juice rum, but the profile is closer to that style. It’s possible that they’ve improved Sweet Crude by now, but this initial batch wasn’t very good. The price has dropped a few bucks to the low $20 range, but this still isn’t a good buy for rum. Unless you must experience the Cajun heritage represented by this rum, I would totally pass on this one. Posted in Rum. Tagged American Rum, Rank Wildcat. Prichard’s Fine Aged Rum (Kelso, TN) – Tennessee is known for another fine spirit, but it’s quickly developing into a home for rum. 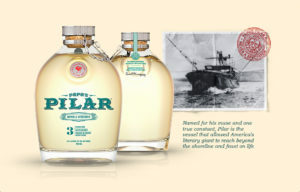 One of the best is Prichard’s, which makes a range of rums, including a range of flavoured rums. But the Fine Aged Rum is the best of the bunch. 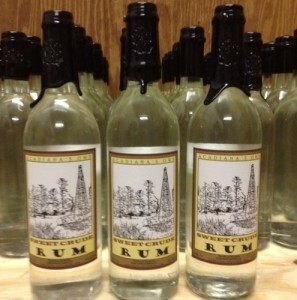 Sweet Crude (Broussard, LA) – Hailing from my homeland, this rum was introduced last year in south Louisiana. I’ll be posting a tasting of this one at some point, but it’s not worth looking for yet. I still hold out hope for this craft distillery to produce something noteworthy… even rooting for them! Copper Run Gold Rum (Walnut Shade, MO) – This is a decent rum, but overpriced. Siesta Key Spiced Rum (Sarasota, FL) – Rum Journal named Siesta Key Rum our spiced rum of the year in 2012, meaning it wasn’t just the best American spiced rum — it was the best spiced rum period. And so it remains. (Siesta Key’s other varieties, including spiced and gold, are also excellent). Dancing Pines Cask Rum (Loveland, CO) – Dancing Pines makes three rums, including a light and a spiced variety, but the cask rum is our favourite. It’s made from cane molasses and distilled in charred oak barrels. It’s got strong notes of caramel, toffee and malt. Sammy’s Beach Bar Rum (Maui, HI) – Made by Sammy Hagar, the legendary frontman of Van Halen, Sammy’s Beach Bar rum is actually a rhum agricole, meaning it’s distilled from sugar cane juice in the style of rums from Martinique. It’s fresh, it’s Hawaiian and it’s delicious. Posted in Rum. Tagged American Rum, Copper Run, Dancing Pines, Drum Circle, Haliimaile, Prichard's, Rank Wildcat, Rhum Agricole.